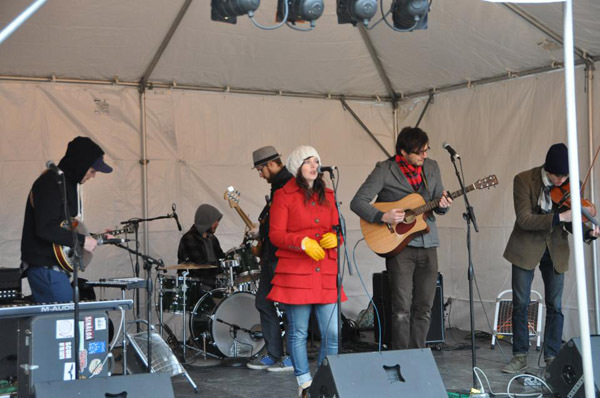 CLEVELAND, Ohio (January 10th, 2013) Brite WINTER has announced that the annual free winter art and music festival will feature 48 bands on 6 stages on February 16th, 2013 in Ohio City’ Market District. 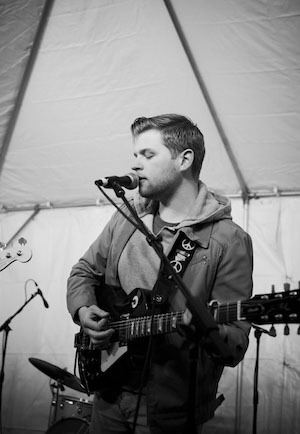 The event is a showcase of up and coming Midwestern artists including The Floorwalkers, Teen, Total Babes, Wolf Ram Heart, Bethesda, Ashley Brooke Toussant and many more. In 2012 the festival grew to feature 40 groups and drew 10,000 attendees for the single day art and music festival, sponsored by GE Lighting, The Cleveland Institute of Art, and the Cleveland Museum of Art. Some of the groups featured achieved further critical acclaim later in the year such as Bad Veins, and Lighthouse and The Whaler. In 2013 more than 1100 groups submitted bids to play the festival. The music planning committee lead by Bad Racket Recording Studio, curated the top submissions to create this year’s line up. 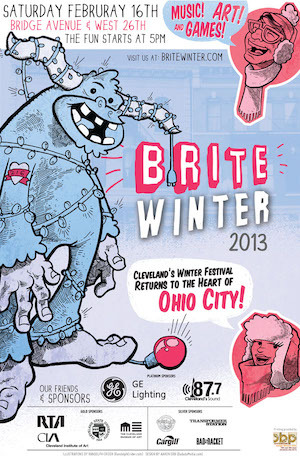 Brite Winter Poster: Meet the new festival mascot, Fluri The Yeti.